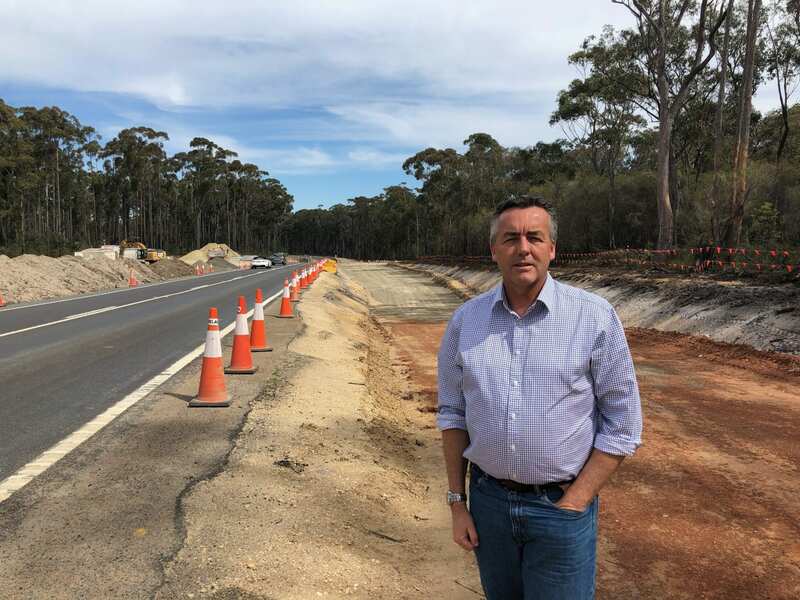 Too many people are killed and injured on Gippsland roads and local MP Darren Chester is encouraging all road users to take responsibility for their own safety. Mr Chester is supporting Rural Road Safety Week, a national campaign by the Australian Road Safety Authority. “Road safety is everyone’s responsibility and it has to be our focus every day, not just once a year,” Mr Chester said. Mr Chester helped form the Parliamentary Friends of Road Safety and was an outspoken advocate for reducing road trauma when he was Minister for Infrastructure and Transport. “Far too many of us have seen the terrible impact of lives lost and serious injuries on our roads,” Mr Chester said. “There needs to be a renewed public focus on inappropriate speed in regional areas and a major increase in arterial road funding to target high risk regional corridors with poor safety features. “The effects of every death on our roads ripples through the community, devastating loved ones and traumatising emergency service workers called to crash sites. “We need to keep this important issue at the centre of public debate. We need to keep telling the individual stories of those who’ve lost their lives to humanise the debate. In this year’s Federal Budget, the Federal Government committed $132 million to the final two stages of the duplication of the Princes Highway between Traralgon and Sale. There’s an additional $130 million worth of roadworks now underway to improve safety on the Hyland Highway ($10 million), Great Alpine Road ($10 million), South Gippsland Highway ($50 million), the Princes Highway east of Sale ($50 million) and the Monaro Highway ($10 million). Traralgon, Freestone Creek Road in Briagolong and the intersection of Maryvale Road and Crinigan Road at Morwell. “As road users, we all need to be responsible for road safety,” Mr Chester said. “Police officers, government departments, ministers and road safety experts can only do so much. “We know we shouldn’t speed, drink and drive, check text messages or get behind the wheel when we are fatigued, but too many of us are still doing these things and putting lives at risk.